I have been in the PR business for a very long time. My background started in radio, went to print, to TV, to print and back to radio. Then I went to the other side - public relations. I continued to keep my toe in print. Yes, I've learned thing or two. I have had reporters camp out on my doorstep to brainstorm story ideas on a slow day. I have had them come to me wanting jobs. I live to work with members of the press. So, it blows my mind when I hear of PR people who don't know where their local media outlets are physically located, what the assignment editors and producers look like, what their deadlines are or when their planning meetings are held. It pisses me off that PR people think they don't have to give priority to the needs of reporters, photographers, videographers, producers and editors. If it weren't for the press, PR people would not exist. So we need to work closely with them, forming relationships and partnerships. We also need to guide them to good stories. So this brings up my next point. True story. While I am in the PR business, I continue to be a member of the working press. I string for a newspaper. I have for a long time. I receive a lot of emails with story pitches. PR PITCH: "Would your readers be interested in learning about new farming equipment? ME: "This is an agricultural area. Yes, I would be interested in writing about new equipment. Do you have a farmer here locally who is using what you are selling? I would like to interview him about his techniques and results. I need someone local." PR PITCH: "When you say local, does that mean anywhere in the country?" ME: "No. It means local to Randolph County, North Carolina." PR PITCH: "Here is a link to our services. Will that help? ME: "No. I need a name and contact information of a local farmer. Can you provide that for me? Do you use a PR company?" PR PITCH: "We ARE the PR company!" ME: "I wasn't aware of that. When I said 'local,' you should have known what I meant. A local farmer means a local farmer here, not across the country. MARKETING TIP: Members of the press are your client. They need to be respected and treated as a client, not as an afterthought or a bother. Successful PR efforts build a strong relationship between you and your media. They will help you and work with you - as long as you earn their trust and respect. The lack of willingness to work with media can kill your business or project. 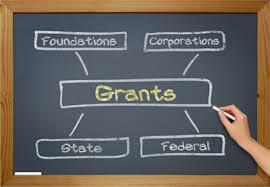 Researching and writing grants ... what do those words mean? This blog has been ranked #11 for the "80 Essential Blogs for Modern Day Marketing Students"
Have a new PR job? Get to know your local media. Interested in a seminar, festival promotion or consulting? Now is a great time to do your planning - create/update databases, update records, produce your media kit, update your image and video bank and revamp your marketing plan. Greta Lint is available for collegiate lecture series, keynote addresses and educational seminars for conferences. Click here for list of topics. The tourism world is taking notice of Greta's tips!